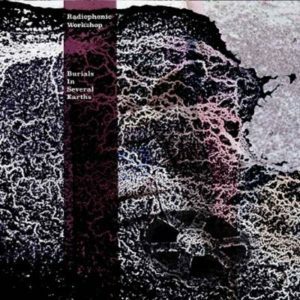 THE RADIOPHONIC WORKSHOP are to release ‘Burials In Several Earths’, a brand new work which will be their first commercial available product since 1985. 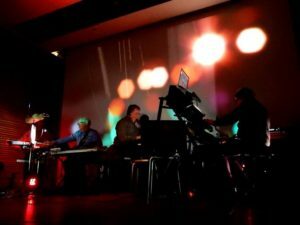 The veteran sonic architects behind the soundtracks of classic BBC TV shows such as ‘Doctor Who’ and ‘The Hitchhiker’s Guide to the Galaxy’ recently gave a mind-blowing live performance as part of the ‘Picasso By Night’ evening curated by Martyn Ware of HEAVEN 17. So it is fitting that he features on the album along with Steve ‘Dub’ Jones, best known for his engineering work for THE CHEMICAL BORTHERS and UNKLE. 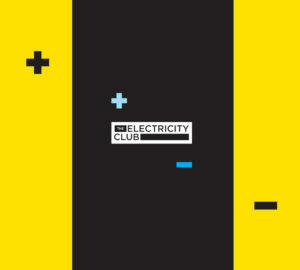 Martyn Ware kindly chatted with The Electricity Club about his contribution to ‘Burials In Several Earths’ and about what is happening with the new, long awaited HEAVEN 17 long player ‘Not For Public Broadcast’. Your musical history with THE RADIOPHONIC WORKSHOP goes back performing the ‘Dr Who Theme’ in with Ian Craig Marsh? Yes, we did in the earliest band we ever formed! It was in D-K & THE STUDS, Glenn was D-K, the singer and it was a supergroup with various members of CABARET VOLTAIRE, CLOCK DVA and 2.3 before we started THE HUMAN LEAGUE or anything. We only played it once and it was terrible. What kind of influence were they on you during your phase in THE HUMAN LEAGUE and how did they exploits fuel your zest for experimentation? It was in the zeitgeist really. David Vorhaus, who I’ve just done some work with recently, was perhaps more of an influence. He created WHITE NOISE with Delia Derbyshire and Brian Hodgson from THE RADIOPHONIC WORKSHOP. I met them through Clifford Jones who was their manager. I’ve always been a fan of their work, so having a chance to meet them and do something with them was too good a chance to miss. I did a lecture with Peter Howell on the South Bank in 2013. I thought it was interesting that you both differed slightly in your views on the Yamaha DX7? I don’t like the sound of digital synths, when things started moving into the FM world, I wasn’t so happy. I had the DX7, Roland D50, Korg M1, an SP12 drum machine, that period I went through loads of stuff. Funnily enough, I’ve gone back to samples from the Emulator II OMI Universe of Sounds package and I prefer those to anything I’ve just mentioned. I’ve now got all the virtual packages but there’s something about the sonic philosophy that’s too far down that Japanese clean path, it’s all shiny and lacking in warmth. There’s a narrative arc that leads through the inception of domestic level synthesizers from the mid-70s to the birth of digital synthesis right through to the current day, it’s not ever really reversed, and this over-digitalisation of sound is a problem. That’s why there’s so many plug-ins and filters designed to counter that and reintroduce the artificial sound of tape or vinyl. So how did the collaboration come about? Although we were all busy with other projects and playing live, Mark Ayres called and suggested we go into a studio he’d booked in South London on this date at ten in the morning. It was a bit ad hoc, but I’m a great believer in just doing stuff rather than theorising about it, so I thought I’d better walk the walk. I turned up with no instruments and there was nobody there apart from the engineer who opened up and let me in. About an hour later, people started drifting in and various synths started arriving including a Moog Modular, a Jupiter 8, a Korg MS20, pedals and a Teenage Engineering OP-1. So I suggested we started improvising, which is so unlike me and right outside my comfort zone… I haven’t done that since the mid-70s. The one instrument there which I really knew inside out was the Jupiter 8 so I played that, Mark played the Moog Modular, Steve ‘Dub’ Jones played piano and the OP-1 while Paddy Kingsland played treated guitars and pedals. No words were spoken as to what we were going to do, it was completely spontaneous. At first, it felt incredibly awkward and childish in a strange sort of way, but as things loosened up a bit and we played off each other in a classic ‘jazz’ style, what emerged was spasmodically transcendental. We did about 2-3 hours onto Pro-Tools and at the end, I had no idea if very much of it was any good. We went from the live room into the studio and started listening to it… even without any mixing, we were astonished how interesting and unique it sounded. I have never done an improvised album ever, it was a four way jam with a genuine equal split. The title ‘Burials In Several Earths’ is Mark Ayres’ idea and he was leading on the whole thing, doing the editing and mixing. 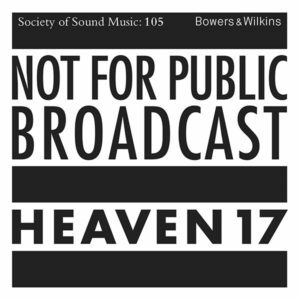 Meanwhile, HEAVEN 17’s ‘Not For Public Broadcast’ became available to Bowers & Wilkins Society of Sound members as a work-in-progress. What was your strategy with regards this approach to launch the album? I’ve been sponsored in kind with products by Bowers & Wilkins for over a decade and they started this online Society of Sound. I was asked to be an ambassador for it and Danny Wilkins from Bowers & Wilkins asked if I’d release some new HEAVEN 17 material on it via this subscription. We’re not really sure about the digital world at all as you know, but the idea that it was only available for a month with the rights reverting back to us, and we’d get paid, appealed to us… so it was like a sonic Snapchat release. We didn’t want to do the whole album but to get people off our backs, we thought it would be good to release a half-finished album as a kind of study into where we are heading and to expose the process via social media, as well as to discuss our theory of ‘Not For Public Broadcast’ on how to release stuff to people who actually care about music, as opposed to just giving it away for free. Hopefully people liked it, I know to gain access one had to fully subscribe, but I do genuinely believe that it’s an amazing thing to subscribe to. It’s all looked after by Real World Records, Peter Gabriel’s label and there are some amazing recordings there. It was up to people if they wanted to do it or not… it’s all going to be on the forthcoming album anyway, so it’s not like we’re denying people anything. So is the album going to be ready for the forthcoming tour with BLANCMANGE? In reality, we’ll have more tracks ready for the Autumns show but the album will be finished Spring next year. The problem we have is time because Glenn is out on tour with HOLY HOLY, he’s writing the music for an upcoming ITV series while there’s all the summer festival stuff too. HEAVEN 17 are touring with BLANCMANGE again? Yes, we really like each other’s company and music, so I think it’s a good match, but it was the promoter’s idea to do it. It went so well in 2014, they wanted to do it again. So that’s what we’re doing.